A soft, seamless, and comfortable nursing cami that provides easy breastfeeding access for your baby while also providing gentle support to your midriff. 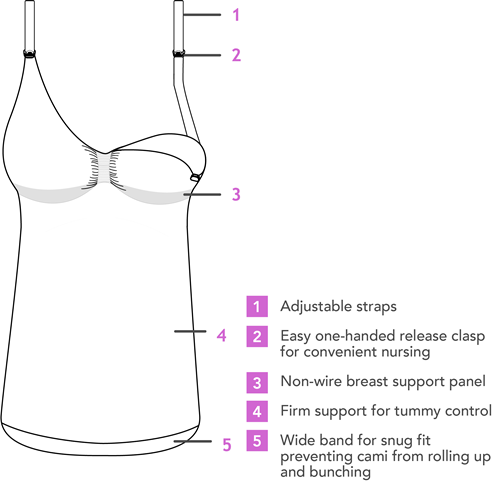 Based on the multi-award winning Carriwell nursing bra, the light, breathable fabric of this cami also helps shape your midriff. This helps make you feel slimmer and more confident while out and about. 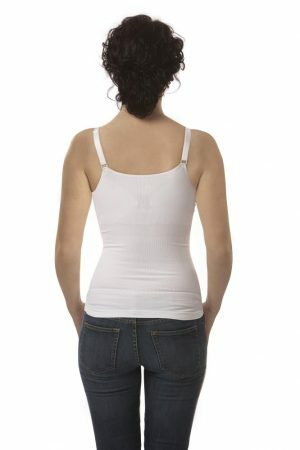 Wear either as an outer camisole, or under your clothing like a singlet.